Falsification of identity to obtain financial transaction device: Using a fake ID to obtain a credit or debit card is a felony. Furnishing goods or services – forging signatures or filling out forms: Using somebody else’s credit or debit card to purchase something is a felony. It is also a felony to sell something to such a person knowing that they have an illegal credit or debit card. Use of revoked or canceled device: Using a revoked (versus expired) credit or debit card to obtain anything of value can be a misdemeanor or felony. 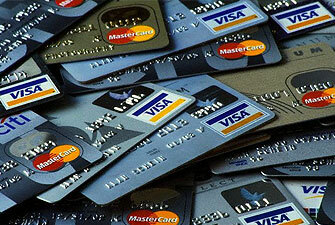 Forgery, alteration or counterfeiting: Duplicating or making changes to a debit/credit card is a felony. Use, delivery, or circulation under unlawful circumstances: Selling a credit or debit card that belongs to somebody else is a felony. It is further a felony simply to possess somebody else’s card with the intent to sell it. Stealing, removing, or hiding financial transaction device: Taking somebody else’s card is a felony. Identity theft. It can be a felony to use somebody else’s personal information to commit any illegal act, specifically to make purchases. Embezzlement: It is a crime for one who is in a position of trust to take money and convert it to personal use. Typically this is an employee who has access to company money and takes it for their own use. Fraudulent acquisition of a prescription drug: Using false information to obtain a prescription is a crime. Uttering and publishing: Using a forged or fraudulent check to procure goods or funds is a felony. Our office has had success in getting fraud cases reduced to misdemeanors, dismissed, and most importantly keeping our clients out of jail. When considering the full spectrum of criminal behavior prosecutors are most concerned about violent crimes against people. A fraud crime isn’t normally the type that causes psychological trauma to the victim, so really their only loss is money. Where the victim can be made whole through repayment there can often be reductions or concessions negotiated. In a recent case involving the allegation of using someone else’s credit information, we were able to get a 4 year felony reduced to a 93 day misdemeanor which will come off the client’s record after compliance with a short probation. Moreover, most fraud crimes require an element of intent. Where there was an accident or misunderstanding there may be a valid defense to the case. If we can present a defense theory that there was no criminal intent or intent to defraud the case can be fought on such grounds. People have been falsely charged with crimes before, and if you believe that you are innocent you should get counsel involved immediately. Our experienced litigators are not afraid to fight weak charges by motioning for dismissals and by taking issues to trial.